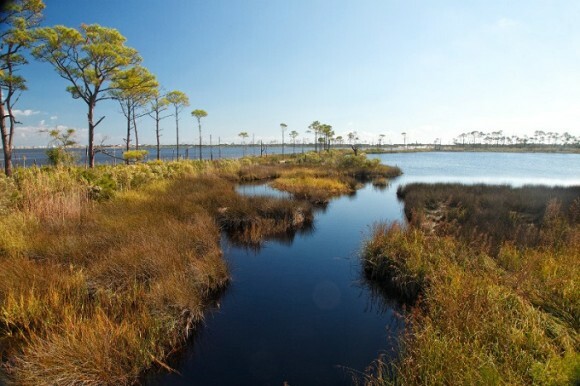 Bon Secour National Wildlife Refuge encompasses some of Alabama’s last remaining undisturbed coastal habitats. It was established in 1980 to protect threatened and endangered species and migratory songbird habitats.There are four trails of various lengths and terrain. Jeff Friend Trail, one of our most popular trails, was recently renovated to become more accessible with an improved boardwalk and new trail surface. All of these trails are open year-round during daylight hours.